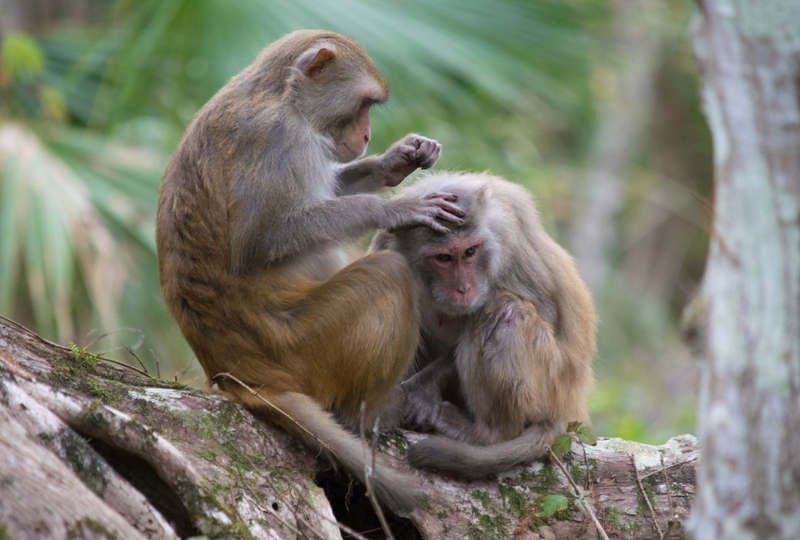 Grooming buddies: Rhesus monkeys show a wide range of sociability. Male monkeys that avoid touching, grooming or playing with others have low brain levels of the hormone vasopressin, according to a new study. Low levels of vasopressin in the brain also characterize boys with autism, the study found1. Vasopressin and the related hormone oxytocin control a variety of social behaviors. Both hormones have been touted as potential treatments for autism. The findings hint that vasopressin levels are a useful marker for autism. They also support the idea that boosting these levels improves social functioning. The study appeared 2 May in Science Translational Medicine. In fact, a study published today in Scientific Reports indicates that boosting vasopressin levels improves social interactions, at least in monkeys2. Parker’s team measured several chemicals in samples of blood and cerebrospinal fluid in the monkeys, and vasopressin alone proved to be the best social gauge. However, the researchers caution that the findings from both studies are preliminary and need to be replicated. It is also unclear whether low vasopressin levels are unique to autism or are a feature of other psychiatric conditions as well. The rhesus monkeys in Parker’s study live in half-acre corrals, each with up to 221 animals, at the California National Primate Research Center in Davis. The monkeys range in age from 1 to 5 years. Parker and her colleagues monitored the social behaviors of 42 monkeys for 10 minutes twice a day for 8 days. These monkeys showed a wide range of sociability in tests conducted when they were 3 to 4 months old. The team identified the 15 most and 15 least sociable monkeys by observing how often they interact by, for example, chasing, wrestling with or grooming others. They drew samples of blood and cerebrospinal fluid and measured levels of vasopressin and oxytocin. They also measured the expression of the receptors for these hormones, as well as molecular activity in two signaling pathways linked to autism, PI3K and RAS/MAPK. Statistical analyses revealed that the level of vasopressin in the cerebrospinal fluid is the most robust marker of sociability in the monkeys. Levels of this hormone are significantly lower in low-social monkeys than in their more social peers. These findings held up in an independent set of 15 low-social monkeys and 15 high-social ones from the same colony. Levels of vasopressin in cerebrospinal fluid alone correctly classified 28 of these 30 monkeys. 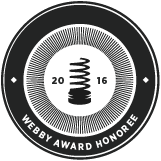 This specificity surprised some experts. Parker and her colleagues then measured vasopressin in the cerebrospinal fluid of seven boys with autism and seven age-matched controls. The samples had been drawn for conditions unrelated to autism, such as cancer. As a group, boys with autism have lower vasopressin levels than controls do. And the levels predict whether the boys have a diagnosis of autism, with one exception: a boy with autism whose vasopressin level is similar to that of controls. “That’s a really valuable approach, starting with the rhesus macaques and then being able to quickly take a look in a population with a diagnosis,” says Elizabeth Hammock, assistant professor of psychology and neuroscience at Florida State University in Tallahassee, who was not involved in the study. Vasopressin levels in some of the boys with autism overlap with those in the controls. So the hormone may be an indicator of social function in only some people with autism, she says. One open question is whether low vasopressin levels are a cause or a consequence of low sociability. “If you were to take some monkeys and separate them so that they can’t have social interactions, would they then have lower vasopressin?” Young says. In the study published today, Platt’s team found evidence to suggest that boosting vasopressin levels promotes social interactions. In pairs of control monkeys, one monkey frequently looks at the other, and the length of its stares increases with time — a sign of dominance. The hormone-treated monkeys remain more relaxed: They do not stare for as long as controls do, the researchers found. This effect is stronger for vasopressin than for oxytocin. The findings raise the possibility that vasopressin treatment would ease social difficulties in people with autism. Parker and her colleagues have completed a small clinical trial of an inhaled version of vasopressin as a treatment for autism. Unpublished results of the treatment in 28 children with autism suggest it improves their social communication. The researchers are enrolling 100 children with autism in a phase II clinical trial. But vasopressin may not always be deficient in people with autism. Paradoxically, researchers at the Swiss drug company Roche have unpublished evidence that blocking the receptor for vasopressin — which would decrease vasopressin signaling — improves social function in men with autism. In February, the U.S. Food and Drug Administration gave the drug, called balovaptan, ‘breakthrough therapy’ status, meaning it can move quickly through the approval process. And at the International Society for Autism Research meeting in May, researchers from Roche presented evidence that the drug improves social interactions in mice lacking CNTNAP2, a gene linked to autism.